Early last year, I found myself sitting across from Caryn Marooney in Facebook's cafeteria talking about how startups get noticed. What is that ineffable quality that separates the successful media darlings from the companies no one ever hears from again? It's a huge question, and Marooney — now head of Facebook's tech communications and past founder of the OutCast Agency — had good answers. She's been at it for a while, getting press that has distinguished dozens of startups (including eventual giants like Salesforce). Talking to her, it hit me how special this situation was, and how valuable the advice — based on real experience, wins, losses and lessons. In the last year, I've had the privilege of speaking to nearly 100 people like Marooney who are among the very best at what they do — from hiring designers to building technical teams to increasing employee happiness. They hold the puzzle pieces for how to build startups from the ground up, and here, on The Review, we're assembling them for an ever-growing audience. We spoke to people like Pandora CTO Tom Conrad, lead Spotify designer Tobias van Schneider, Twitter VP of Engineering Chris Fry, CEOs and founders — and each of them shared their experience with one goal in mind: To build the strongest possible community of entrepreneurs. What follows is a roundup of the 30 most incisive and helpful pieces of advice we published this year. We can't wait to bring you more in 2015. Elle Luna quit her dream job at the peak of success. She left Mailbox before it was acquired by Dropbox because she wanted to create art. Over the next year, the talented designer behind Uber's mobile app and Medium painted, traveled to Bali, and launched her own textile venture, The Bulan Project. Most importantly, she emerged with a lesson that applies to everyone: “There are two paths in life: Should and Must. We arrive at this crossroads over and over again. And each time, we get to choose,” says Luna. “'Should' is how others want us to show up in the world — how we’re supposed to think, what we ought to say, what we should or shouldn’t do. Must is different. Must is who we are, what we believe, and what we do when we are alone with our truest, most authentic self.” The hard thing about Must? It's a daily practice and a recurring choice. The good news? You arrive at these crossroads again and again, and you always get to choose. Here's how Luna did it. Tobias van Schneider lives his life like one big side project. Today, he designs and builds new products for Spotify in New York, but he couldn’t have predicted that when he dropped out of school at age 15, or when he got rejected from multiple art schools. His career stemmed from several experimental side projects. But, in order for these types of projects to truly succeed, van Schneider says, you have to let yourself be stupid. “The only way a side project will work is if people give themselves permission to think simple, to change their minds, to fail — basically, to not take them too seriously,” he says. When you keep things loose, you try new things without fear of failure, you ditch your obsession with structure and growth, you trust yourself more, and you create a culture of passion. Here's how companies can help their employees stay stupid to be more creative. People's greatest side projects are themselves and their careers. Throughout her career as an entrepreneur, executive and investor, Heidi Roizen has picked up several lessons for building both a fulfilling life and career: the critical importance of ethics, respecting your gut instincts, etc. But one of the most liberating and motivating principles she's learned is this: “At 20, you're constantly worrying about what other people think of you. At 40 you wake up and say, 'I’m not going to give a damn what other people think anymore.' And at 60 you realize no one is thinking about you at all,” she says. The truth? “Nobody is thinking about you from the very beginning. Your boss isn't thinking about you. Your peers aren't thinking about you. You need to think about you.” You need to be your own advocate. Realize that no one is thinking about you as hard as you're thinking about yourself, save that time, and get to work. 4. To scale a team, break your model again and again. 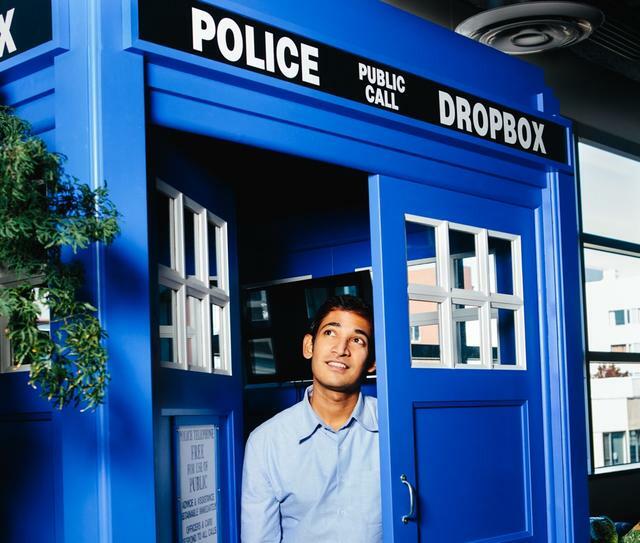 When Aditya Agarwal started at Dropbox, the company had 30 engineers building for 50 million users. Now he directs a team of more than 200 to protect the data of well over 300 million users. In the process, he's become an expert at scaling technical teams. The key, he says, is to continually evolve (and hire people who know how to). You need a team that can learn fast, get comfortable with change, and roll with ambiguity and improvise. If people don't know how to do something, make them learn. That's how Dropbox went from having 3 to 4 engineers regularly contributing to the iOS code base to over 30. “If you’re doing things right, something will always be a little bit broken. Most importantly, tell everybody that a little bit of chaos is okay,” Agarwal says. 5. Don't get distracted by a vocal minority. As Reddit's first community manager, Erik Martin presided over a site that now serves 5.5 billion pages to over 100 million monthly unique visitors, and he did it with a very small team. Knowing where to invest time became paramount, and one of the best ways to do this, he says, is to stop wasting time and energy on small bands of loud, angry users. This is something almost every consumer startup will face, and it can throw you way off track. “People express themselves much more often when things are going wrong,” Martin says. “But you have a lot more people that you're serving on a regular basis.” To make sure you're steering this macro community in the right direction, he advises remaining kind and courteous in all communications, recognizing patterns in the feedback you're getting and being responsive when you do. Express empathy to make it clear that real human beings are working to address users' or customers' concerns. 6. Run the RIBS test. Being believable isn't just convincing people you can win, it's convincing them that they want you to win. 7. Find great talent by looking at the products you admire. Julie Zhou started working at Facebook at age 22 and has grown up with the organization to direct product design. One of the biggest parts of this role is bringing in the world's best design talent. And the number one way she does it is by looking at products she and her team love outside of Facebook. She recommends sourcing lists of beloved apps and products from your whole team — not just the ones that are commercially successful, but even small apps or ideas that have an essence of something great, selecting for the ones that showcase the same skills and interactions you’re looking to build. “Read the small print on products with elements you like — like a particularly effective UX, or an innovative feature, or a very polished, well-done navigation system, and then hunt through Google, LinkedIn and AngelList until you find the people behind them,” says Zhou. After you do that, the key is to not be too shy to reach out. People love hearing from fans, no matter what kind of work they do. This is relevant to functional areas outside design. If you love how a company markets itself or sells its product, it stands to reason that you want to bring those skills into your fold too. 8. Borrow trust to build a trustworthy product. Lynn Perkins, CEO of Urbansitter, has a lot of ideas about how trust can be baked into technology products. But one of the easiest ways startups with limited resources can do this is by borrowing the image of trust from other sources. To make parents more comfortable with hiring a sitter online, the company leverages their social graphs, highlighting childcare professionals who know or have been hired by people they already know. “When people see that other parents from a group they belong to or respect have used a sitter, that’s compelling information,” says Perkins. The site also displays sitters' affiliations with known, trusted and local organizations like CPR training centers and parenting organizations. Startups that need to build user trust should look to prospective partnerships and social graph opportunities to establish their credibility. 9. Say no the right way. Great to hear from you. I hope all is well. Fortunately, my company is starting to take off, and I’m under extreme pressure to deliver against some ambitious goals. I go to a lot of social events, but unfortunately I won’t be able to connect right now. Having this tool at his disposal has saved Trenchard immeasurable time and anxiety. The most important thing is that you close the door to further communication, he says. Do it nicely in a way that truthfully explains the situation, but don’t leave things open-ended. 10. Raise your bar hire by hire. As General Manager of Amazon Redshift and Amazon Aurora, Anurag Gupta is charged with constantly improving the company's technical talent. To do this, he very intentionally raises standards for every new hire. Gupta recommends assigning people already within your company to act as bar raisers. Include them in every hiring conversation and on every interview loop. Empower them to determine if someone is an improvement over existing talent or not. “Choose people with high standards and good judgment,” says Gupta. “Tell them their job is to ensure that somebody is going to be above the 50% bar of the folks already at your company for that role at that level.” It’s critical that the bar raiser does not feel the same pressing need to fill a role that the hiring manager does. They should come from outside the hiring team but know enough about the role to judge talent. You don’t want them to be influenced by timing; you want them to focus on performance. 11. Patch leaks in your funnel. Tamara Steffens has run business development for companies like Path, Color, and most recently, Microsoft acquisition Acompli. In doing so, she's become laser focused on user acquisition through all channels — including where they drop out of the conversion funnel. She's identified two leaks startups should pay extra attention to. The first is Day 1. How many users do you lose the same day they download the app? If your product is at all confusing or intimidating, chances are the average user will turn it off and trash it shortly thereafter. The fix: If users stop engaging with your app before they even see what it has to offer, take a close look at your signup process. If you’re losing users who have taken the time to sign up, then you need to scrutinize your welcome flow. The second leaky bucket is the 6-week mark. How many users are still actively engaged with your app after six weeks? If you're losing a lot of them, your product may be losing its utility or novelty. The fix: Listen intently to what your customers want from your product and iterate as fast as possible on this feedback. Assume you have 90 seconds with a new user before they decide to use your app or delete it. 13. Nail your positioning for early success. 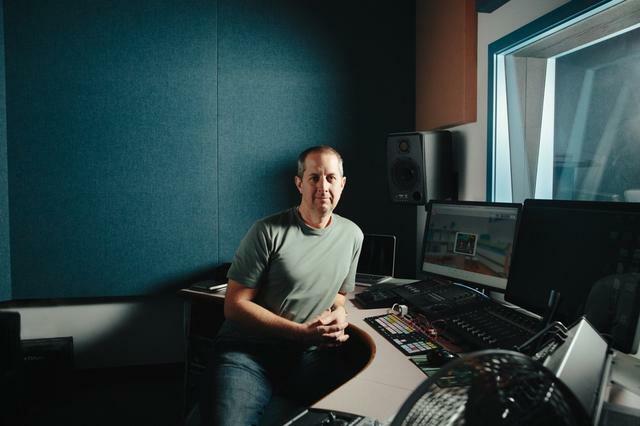 After spending 24 years climbing the corporate ladder in the gaming and software industries, Scott Crabtree decided to devote his career to increasing employee productivity by increasing happiness. Today, he's the founder of Happy Brain Science, an organization that surfaces the data underpinning work satisfaction. His big observation: People get the most done when they enter a 'flow' state of high-performance. To set people up for flow, he recommends structuring goals so that they are specific, measurable, attainable, relevant and time-bound (SMART), ensuring that these goals are meaningful (that people connect with them on a personal, emotional level), and aligning goals with people's strengths — not just what they are good at, but what they naturally enjoy. If you can achieve this as a manager and help people cut down on multitasking at the same time, you're on your way to encouraging healthy, happy productivity, Crabtree says. 15. Process is being told what to do by someone who has less information than you. Peter Deng thrived during the early days of Facebook, when process and structure was limited, and everyone was focused on moving fast and breaking things. This experience made him extremely mindful about when process is needed and when it's simply in the way. Now, as Director of Product at Instagram, he's come up with a regimen to make sure protocol doesn't get out of hand. This includes clearing your slate by canceling recurring meetings when they outlive their usefulness, understanding that all structures and meetings should have an expiration date, banning meetings during certain days and times to free up people's schedules, and constantly revisiting and revising anything that could be labeled as a policy to make sure legacy needs don't become entrenched bottlenecks. 16. Invest in marketing from the start. Even if your product can do a lot, you still need to tell people how it fits into their lives. 17. Pour rocket fuel on your recruiting process. Traditional referral recruiting looks like this: Your staff kinda knows what roles you have open, they kinda have an inkling about who in their networks might be a good fit, and they kinda think about this when they're not doing their actual jobs. But this watered-down system still yields some amazing hires. So why not power it up? As co-founder of talent discovery startup TalentBin (acquired by Monster), this is Peter Kazanjy's wheelhouse. The key is to make it someone's full-time job to 1) proactively mine staff networks, 2) extract reputation information from staffers about their networks, and 3) execute scaled outreach to the potential candidates that get surfaced.Here's his guide to teaching everyone at your company how to find the very best talent for your company across their networks. 18. Fix internal communication before it breaks. 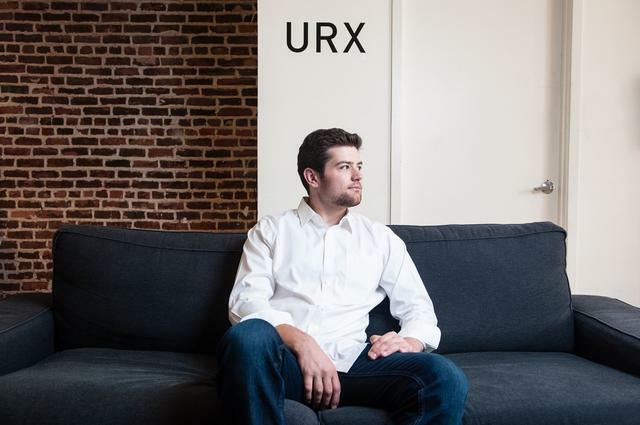 Early last year, URX was a relatively unknown startup — a small team with a very technical product. That changed this spring when it announced its $12 million Series A. Since then, the company has grown to nearly 30 employees and is on the brink of breakout growth. But what really keeps CEO John Milinovich up at night is making sure the company's internal communications are designed to scale. To preempt this problem, he's put several elastic communication channels in place: Contrarian office hours, held weekly, where people can air any questions, concerns or problems, and are invited to be controversial; Tech Talks delivered to the entire company by members of the team so that people can learn from their peers while they learn what they do every day; and an unwavering commitment to 1:1s — with Milinovich himself. “My most important job is to be a feedback loop — a feedback loop between our product and the market, and feedback loop for the team,” Milinovich says. “This is how we’ll build the right culture to get us where we’re going as fast as possible.” 1:1s may become monthly or quarterly as the team expands, but they'll remain a priority for him as CEO. 19. To win at sales, think like a buyer. Early on at food delivery startup Seamless, the sales team was struggling. Their tactics simply weren’t working, and VP of Partner Sales and Services Wiley Cerilli (now Venture Partner at First Round) knew they needed to rethink their approach. What did they have going for them? They had many pre-formed relationships with big companies that used the platform to regularly order food. 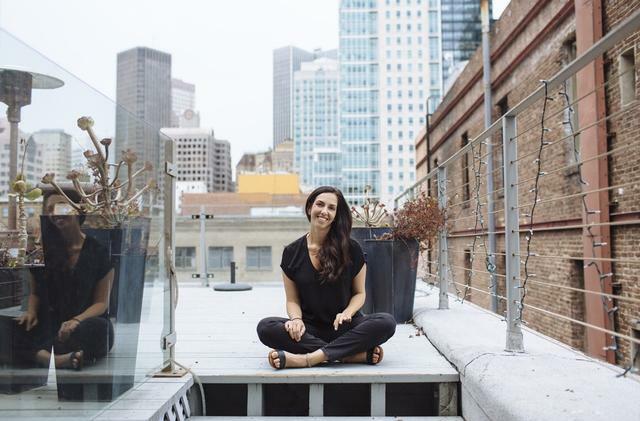 “When you go in with a seller’s mentality, you say things like, ‘Hey, it would be great if you signed up for Seamless. It would be awesome for you because of all these things…,’” he says. “When you go in with a buyer’s mentality, you say, ‘Hi, we manage the food ordering for Goldman Sachs, and we’re considering adding your restaurant to our system. We have some questions for you, so how about we set up a meeting?’” You have to dress up your assets and make your service something your customers want to buy. “Tough love is how you build trust the fastest.” This is something Kim Scott has learned over 20 years of management experience, including leading her own startup and advising companies like Dropbox and Twitter. The worst thing you can do is give people infrequent, unclear feedback because you're worried about hurting their feelings. In order to give people the feedback they need to get better, you can’t give a damn about whether they like you or not. “Giving feedback is very emotional. Sometimes you get yelled at. Sometimes you get tears. These are hard, hard conversations,” Scott says. “Don't try to prevent or control someone else's feelings.” Her advice: Just say it. Criticism has a half-life, and the longer you wait to let it out the worse it gets. Reward people who are truthful with you to set a good example. And don't be loose with praise — only do it when it's accurate and you mean it. 21. Build an experience, not just a product. There’s a reason FiftyThree’s Pencil is considered one of the most beautiful and revolutionary pieces of hardware in recent years. “The entire experience was crafted to naturally fit with how people work,” says hardware specialist Adam MacBeth, whose work has helped shape the iPod and Jawbone's wristbands. “Identify the points that will potentially be the most challenging or difficult for users to figure out. Identify where you have the opportunity to add the most value for users along their journey. The integration between hardware and software needs to be the tightest at those points.” The best hardware products lean on software to create an awesome end-to-end experience, MacBeth says. Any hardware effort needs to be multi-disciplinary, and software should take the lead. The best new ideas live at the boundary between the real world and software. 22. Hire the best and the brightest by enabling remote work. 23. Solve the hard things early. It's easy to fall into the tempting trap of the small, build-phase startup: Managing 20 people is easy. Shared mission, small numbers, and the startup grind keep people focused with nearly any structure, including no structure at all. Management is the first hard thing that is easy to get right early, says Cory Ondrejka, former Vice President of Engineering at Facebook. Three ideas can help small teams nail management out of the gate: 1) Build management and organizational structures around the strengths your company needs to succeed; 2) recognize and plan for the weaknesses that you know are inherent in the structures you pick; and 3)build great habits around communication and decision-making when everyone still knows each other well. Lack of successful management and organizational structure becomes obvious in growth mode. Do not wait until world-class managers and radical re-orgs are needed to fix poor information flow or productivity problems, Ondrejka says. 24. Make your fundraising pitch memorable. A pitch is a live performance. You have to know it so well that it seems spontaneous. Jacob in ToyTalk's sound studio. As a Partner at First Round, Phin Barnes has advised over 20 startups and has seen a common problem emerge: companies aren't getting enough out of their advising relationships. A lot of this has to do with them picking people for the wrong reasons. “I would recommend looking for an advisor just like you’d look for a co-founder — someone who compensates for a weakness you know you have,” says Barnes. To make sure you're getting what you need, interview prospective advisors. Ask them how they would navigate some sample scenarios. How have they worked best as advisors in the past? Do they talk about their experience in the context of how they can help your company or just past situations? Do they have relevant domain knowledge? You need answers to all these questions to find the right relationships. 25. Choose the right advisors for you. 26. Build Stability by keeping teams together. “You want teams that not only work well together, but that learn from each other,” says Chris Fry, former VP of Engineering at Twitter. To achieve this level of mutual trust and flow, he recommends keeping teams together for at least six months, and ideally a year or more. Establishing and respecting the sanctity of teams gives you several advantages. They become self-healing and self-correcting organisms. When a stable team encounters a glitch or misses a goal, it regroups, knows how to run a tight post-mortem and adjusts for the future. 27. Constrain yourself to prioritize right. Early in its development, Pandora had hundreds of features it wanted to build, and extremely limited engineering horsepower to do it. But, with a skeleton crew of 40 engineers it was able to build a product for 70 million monthly users. To do it, the company — with CTO Tom Conrad at the helm — applied a strict quarterly prioritization system based on constraints. After fielding ideas from the entire company — with the stipulation that any submitted idea would have to be “utterly stupid” for the company not to pursue, the leadership team would post them on slides, up on a wall, and vote by 'buying' them with Post-It notes labeled with different dollar amounts. The key was that each person only got a set amount of "dollars" to spend on features. After a couple rounds of discussion and debate, they would regularly emerge with 20 features to work on over the quarter — leaving more than 60 “essential” ideas on the cutting room floor. “Every single day, we had to do the work that would matter most, and we couldn't afford to make big mistakes,” says Conrad. This prioritization system turned this need into a reality. 28. When it comes to compensation, be as formulaic as you can. Molly Graham joined Facebook when the company already had 400 employees but no official performance or compensation system in place. In defining a system that would work for the company, she learned how vital standardization can be. “It's really, really hard to predict the long-term at a startup,” says Graham. “If you start using discretion too early about new hires or new performers, you’re going to set yourself up for long-term problems you can’t anticipate.” Today, as Head of Business Operations at Quip, she reinforces the same ideas. “We explain how everyone in the company that has a certain amount of experience gets paid exactly the same, we explain that we don’t negotiate and see how they react.” This will help you avoid one of the most common mistakes startups make: overpaying because they undervalue their own equity. You only want to hire people who believe in your company enough that compensation isn't their top priority. 29. Pass the Bar (Test). As a long-time project lead at IDEO, Nicole Kahn often found herself presenting slides to clients about products, solutions, ideas — and much of her success came from telling a great story. This seemed to run counter to the number of boring, bland and ineffective presentations she (and many other people) regularly encounter. Her first piece of advice is to validate that you have a good story to tell by using what she calls the 'Bar Test.' “Bars are friendly, social places, sure, but something really important happens when you’re at a bar,” says Kahn. “You use really direct language. You make sure that what you’re saying is entertaining and engaging. You don’t quote tons of data. You don’t use overly corporate language — except maybe in air quotes.” With this in mind, she encourages presenters to tell their story ideas to people who don't know what you're talking about before they formalize anything. Observe them. Look for when they lean in or look away or reach for their phone. Take 15 minutes to figure out what resonates, and make that the skeleton of your presentation. 30. Harness your emotional energy to get more done. How you're feeling at any given moment — excited, anxious, hopeless, etc. — dictates more than half of your behavior and decision making, says executive coach Katia Verresen. To help her clients get the most out of their time, she has them track their feelings throughout the day for three days. The goal is not for clients to always feel good about themselves and their work. Everyone is going to have low moments. Entrepreneurship is one big roller coaster. Rather, the objective is to give clients the tools and language they need to slingshot themselves up from the depths of despair back to energized productivity. When you've charted how you feel during different times of day, you have the power to choose your activities differently. Turning your mood around can be as easy as recalling a cherished memory or celebrating a small win. You have to start with understanding your triggers and patterns, and you can optimize from there. If physical energy is your car, emotional energy is how much gas you have in the tank. People pictured at the top: (From right) Heidi Roizen, Elle Luna, Aditya Agarwal, Erik Martin, Caryn Marooney, Bill Trenchard, Tom Conrad, Julie Zhou, Tobias van Schneider, Molly Graham. Illustration by Paul Granese.